This tutorial is our how-to guide for using webmail for those who have the Enhanced Email Package. You can click any of the links below to jump to a specific section. Alternatively, in the Contacts pane on the left side, select one or more addresses from your saved contacts list, and then click the To button at the bottom of the pane. 3. Click the Insert/Edit link icon. 5. Optionally, from the Target drop-down list, choose whether you want the link to open in the same window or in a new window. Note: Email that has been identified as spam by our system will be trapped by the Webmail Spam filter and will not be forwarded. The reason for this is that when a piece of spam email is forwarded by our server, the receiving server considers us to be the source of the spam even though we weren't the original sender. If too much spam email is forwarded by our system, it can result in our forwarding server being blacklisted. Blacklists temporarily prevent any email from being forwarded for all email addresses in our system. This is extremely disruptive to our customers. By filtering email for spam before forwarding, we are able to provide a more reliable email forwarding service. For more information, see "Using the Allowed and Blocked Senders lists". 2. In the Settings pane, clickMail Forwarding. 3. In the Forwarding Recipients text box, enter the addresses to which you want to forward your messages. Be sure to separate multiple addresses with a comma. 2. At the bottom of the Contacts list, click the Create new contact cardicon. 5. From theImport group assignments drop-down list, select which address book the contacts should be imported to. The Replace the entire address book checkbox lets you delete all contacts from the selected address book before importing. Be careful with this option; the deletion cannot be undone! For information on how to view email headers, click here: "Viewing email headers"
3. In the Allowed Sendersor Blocked Senders text box, enter the email addresses that you want to allow or block, and then click Save. 3. Enter your current email password in the Current Password field, enter your new email password in the New PasswordandNew Password (again)fields, and then click Save. Can be plain text or hashed. If plain text, the text can be between 1 and 54 characters (Length must not exceed 54 characters). If hashed, it is a ASCII string consisting of an hash type in curly braces followed by 1 to 150 characters. Allowed hash types are: MD5 BCRYPT CRYPT DES SHA SHA1 SHA224 SHA256 SHA384 SHA512 SSHA SSHA1 SSHA224 SSHA256 SSHA384 SSHA512 GCRYPT (GCRYPT is for glibc hashed SHA and BCRYPT passwords from a shadow file on modern linux distributions). Passwords are always stored and retrieved hashed. If a plain text password is assigned, it will be hashed before it is stored. The only characters that can be used are ASCII characters with the decimal codes 33 and 35 to 126. An empty password is not allowed. Double quotation marks are not allowed (ASCII character 34). Delete (ASCII character 127) is not allowed. Space (ASCII character 32) is not allowed. Full-localized means that all user interface elements, dialogs and in-line help are presented in the language selected. Important:Files uploaded to Webmail count against your mail storage quota. If your email account has a 2 GB quota and you upload a 1 GB file, that leaves 1 GB of free storage quota for your email messages. In addition, there is a 2GB download limit for shared files in any 24 hour period - if you share a 500MB file and it is viewed four times, it cannot be viewed again for 24 hours. To access your file storage, click Filesin the Webmail header. 2. Optionally, select the folder where you want to store the file. If you don`t select a folder, the file will be stored at the top level, also known as the root. 3. Click the upload icon. 2. In the text box, type a name for the new folder and press the Enter key. 1. Mouse over the file that you want to share, and click Share. Deleted email messages may be recovered by our customer service team if you contact us within 14 days of deleting the messages. Our engineering team saves back-up images of mailboxes to allow us to recover deleted email. Email that has been stored on our mail server for less than four hours may not have been included in a back up image. If you use a POP3 mail program and it is configured to download messages automatically and then remove copies from our server, we will be unable to save back-up images of your messages. We recommend that you switch to IMAP if you want us to be able to recover deleted email. To get started, click Calender. 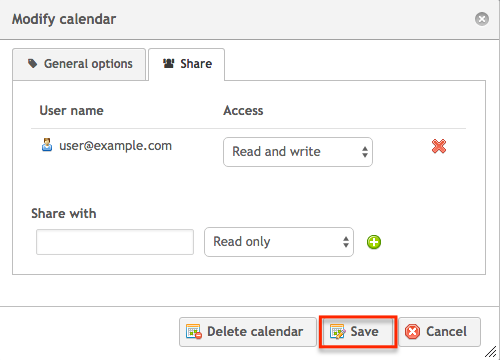 You can click Day, Week, Monthor Agendato view or add upcoming events. 1. 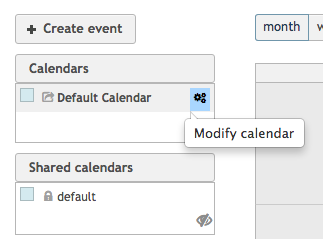 Click the Modify calendar icon next to the calendar you wish to share. 2. 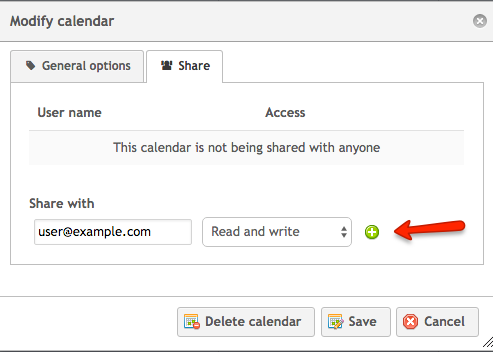 Enter the mailbox of the hosted email mailbox you wish to share the calendar with and click the + icon. 3. From the Obliterate the following items from drop-down list, choose the beginning of time, click to put checkmarks next to Cache images and files and Cookies and other site and plug-in data, and then click Clear browsing data.